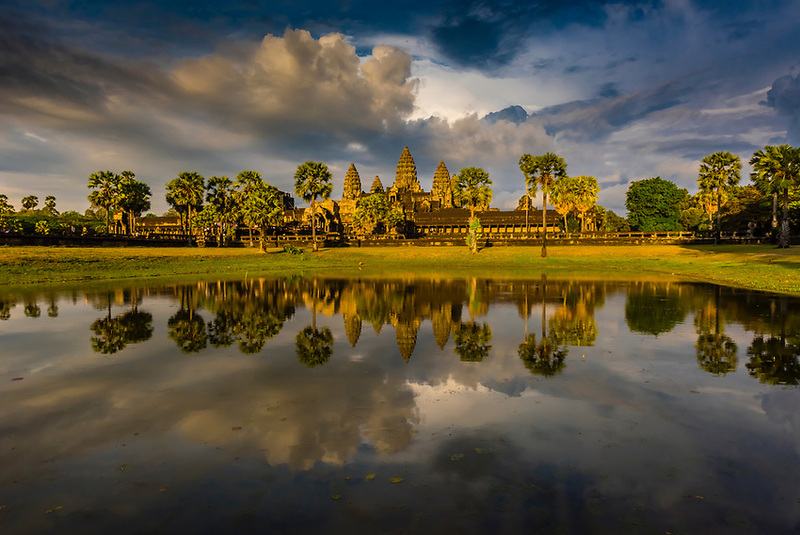 View of Angkor Wat with pond. It is the largest religious monument in the world. It's name means City which is a temple; Cambodia.